The Ruffwear K9 Float Coat is almost worth it just for the photo ops! 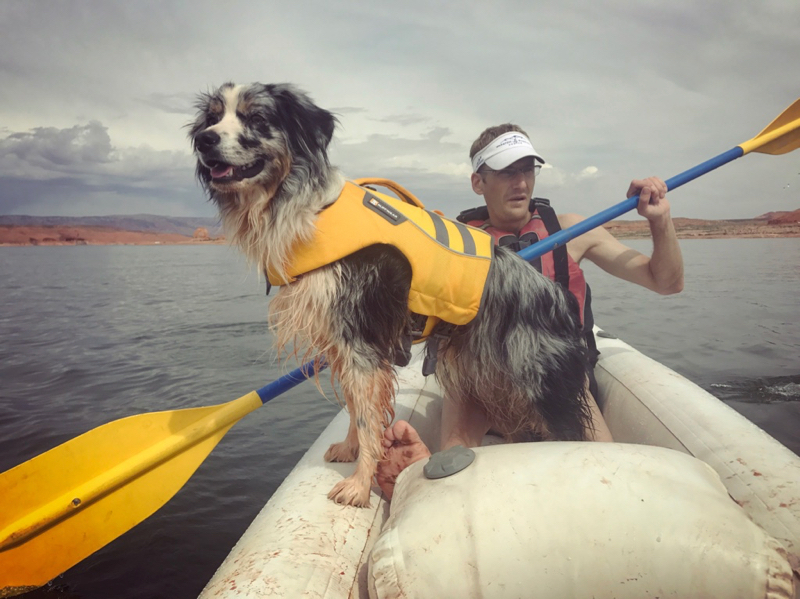 This legit puppy PFD helps keep your little buddy safe on boats, boards, and swims. 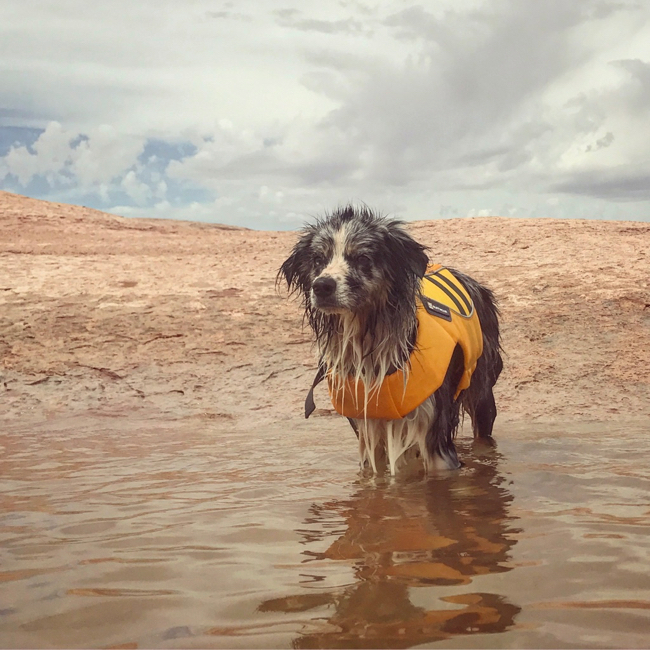 Having grown up with water loving labs I never in a zillion years thought I would be in the market for a dog life jacket, but the Ruffwear K9 Float Coat is perfect for my water weary Aussie. 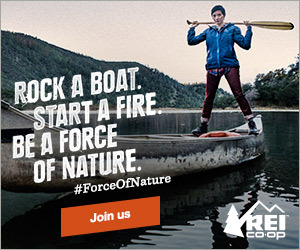 Made from super abrasion-resistant fabric, this jacket is built to withstand adventure. The jacket slips over the head and buckles around the belly and both the neck closure and body can be adjusted to fit your dog. 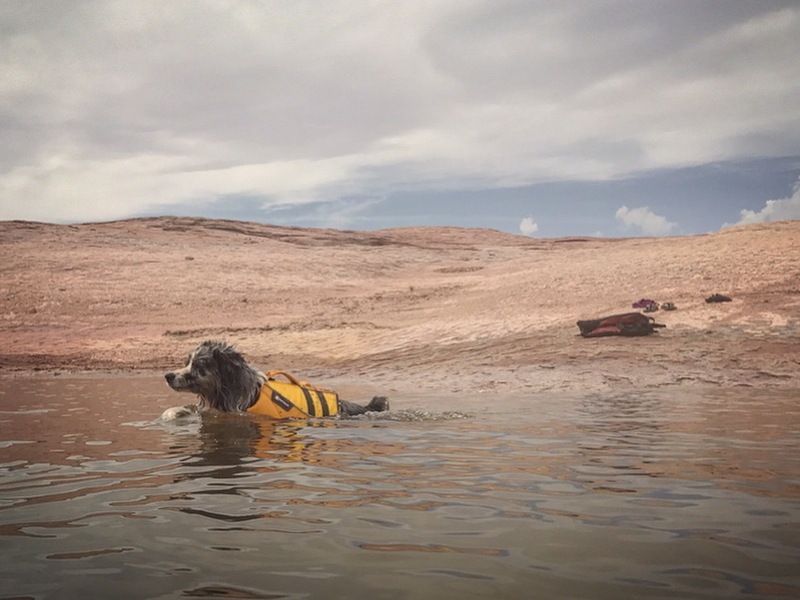 The design allows your dog to swim naturally and the strategically placed foam panels provide the perfect amount of loft in the water without weighing your dog down. 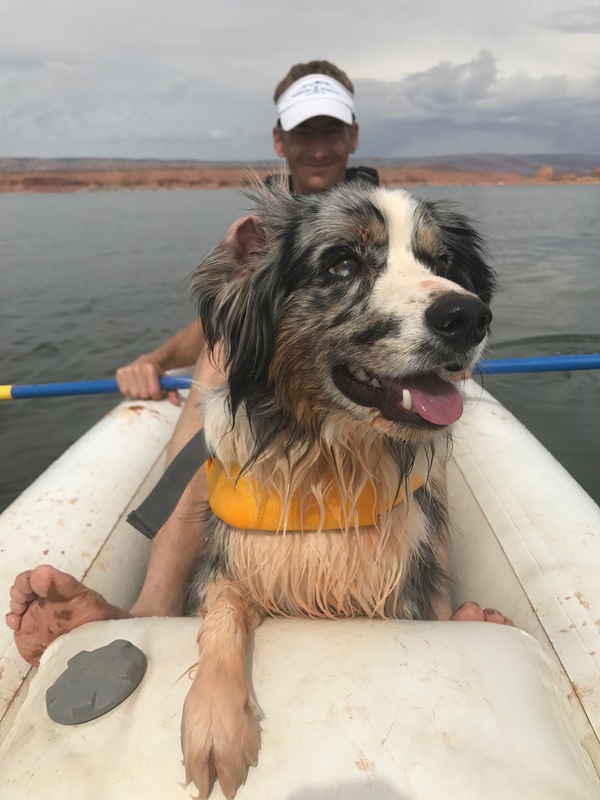 A sturdy handle on the top of the coat lets you hoist your pup out of the water if he falls out of the boat, which is also so good for grabbing him to get him in the boat in the first place. We went with the bright yellow since it seemed best for visibility plus the reflective trim on the top and sides helps in low-light settings. The jackets is also available in a vibrant red and pink/teal combo. My dog enjoys the water, but previously to wearing this coat he was only comfortable at about paw deep. He would wade all day occasionally heading out to fetch a stick with much encouragement from us. He would keep his head held high away from the water as far as he could and flop his little paws in the most inefficient dog paddle ever. With the Float Coat on he appears more confident and sails around the water as if he had huge webbed paws – it makes me so happy! Only issue is the sizing. The coat is sized based on your dog’s girth and my dog is in between sizes. Roo measures it at 22 inches and the extra small runs from 17-22 inches and the small from 22-27 inches. Ruffwear suggests sizing down, but the body of the XS is too snug. My dog does have a rather small head, yet a large ribcage so we had to go with the small. It is a little too large, but it work and if anything just gives him a little more float which he definitely needs. who is that lucky guy you got to ride with Captain Roo?